The Costa Smeralda is a magical mixture of the sun, the sea, of music and joy that you will find absolutely irresistibile. 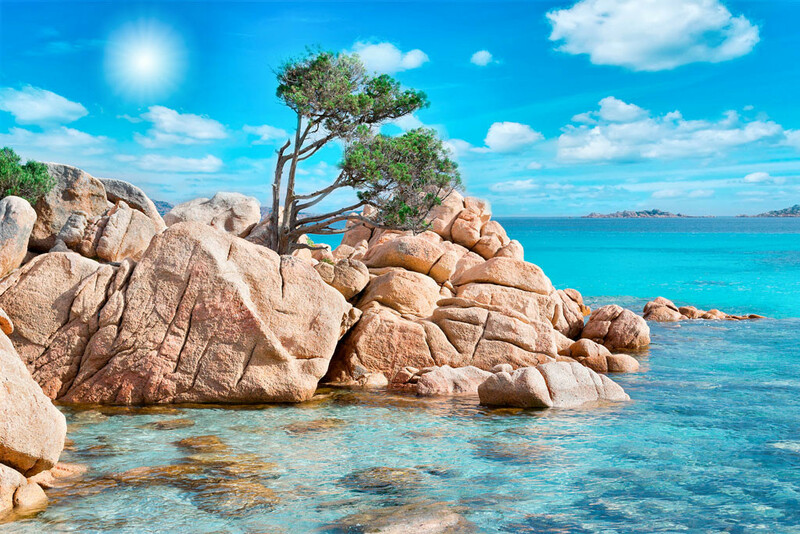 Located on Sardinia northeastern coast, the Costa Smeralda owes its name due to its particular color of the sea and to the chromatic variations of its transparent water that washes up on the labyrinth of granite rocks to form enchanting scenes and unforgettable panorama. The Costa Smeralda is synonomous with “dream come true” beaches , isolated bays and inlets, gently changing shades of blue and green sea. This extraordinary panorama is dotted with houses hidden behind rocks, shaped by the wind, and Mediterranean plant life, golf courses and touristic ports in perfect harmony with the environmental setting. In addition to a unique history of this region and its culture, ancient traditions and a bubbling – over night life that takes place in a fassionable night spots, intimate reataurants, bars and shops of Porto Cervo. Luxurious and colorful Porto Cervo is a heaven for international aristocracy and stars of show business, who approach this beautiful coast on their gorgeous snow-white yachts.